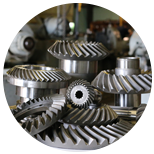 B+R Machine • Full service gear manufacturing facility, focus in bevel gearing. Specializing in small batch production. 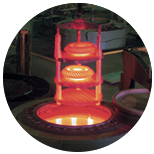 We offer complete heat treating services that include thru hardening, stress relieving, gas carburizing, and induction hardening. 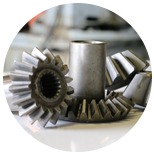 B&R Machine and Gear Corporation is a full service gear manufacturing facility with a focus in bevel gearing. 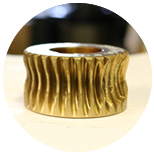 Specializing in small batch production, we provide turn-key parts for your project or repair. Manufacturing technology has changed over the years, but our dedication and commitment to quality and personal service has never wavered. 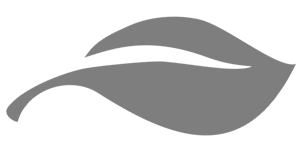 When you partner with B&R, you get a reliable supplier that understands that you need quality parts delivered on time at a competitive price. From the initial quote through final inspection, the concept of total quality is paramount. Our dedication to precision is displayed in all of the services that we provide our clients. Most economical and common type of cylindrical gear used in a wide variety of applications. Gradual engagement of multiple teeth allows for higher speeds and less noise than spurs. 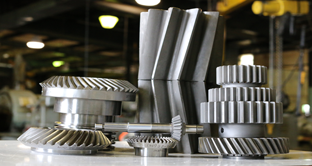 Intricate and complex bevel gear offering greater torque, higher speeds, and less noise than straight bevels. 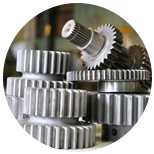 We don't rely on outside vendors to perform our gearing operations. We offer our customers expedited deliveries without sacrificing quality. Gearing your past to power your future. 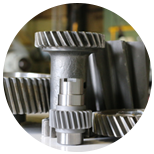 B&R Machine and Gear Corporation is driven to power your equipment with reliable and durable gears that are built to perform and last. We're dedicated to the pursuit of quality. Find the perfect mesh. No matter the gear, we’ve got you covered. Let us help you today! The most basic bevel gearing. Designed for right angled shafts, but can be manufactured for any angle. These gears are designed to transmit power and motion between parallel shafts. These gears are designed to transmit power and motion between non-parallel or intersecting shafts.